After several months of negotiations the VFA joined the ANFC in 1949 as a non-voting member. This provided them access to interstate matches against the top-level leagues across Australia and a place in the National Carnival, but the cost was high: the VFA were forced to surrender rules such as the throw pass that had made the Association a viable alternative to the VFL throughout the 1940s. The VFA made an immediate impact at the top level by recording a shock 8-point victory over South Australia at the 1950 National Carnival. Results over the rest of the era varied with some strong performances against the major states offset by some huge defeats. 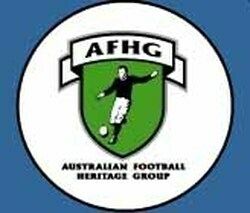 In 1953 the Association was promoted to full-member status in the ANFC and formed strong bonds with the Tasmanian League; leading to a number of interstate contests between the two bodies. However, by 1965 old wounds were re-opening: the VFA was infuriated by VFL clubs moving onto their turf (St Kilda had taken control of Moorabbin Oval and North Melbourne had relocated to Coburg). The Association responded by ending their permit agreement with the VFL; throughout 1967-68 the League exerted its influence within the ANFC to pressure the Association into signing a new player permit agreement that would work in the League's favour. Only voting support from the Tasmania and Canberra leagues stopped the VFL proposal being passed but in 1969 Canberra officials finally bowed to pressure, voting in the VFL's favour and forcing the VFA to make a decision. The Association refused to sign and were left out of the 1969 National Carnival in Adelaide. By March 1970, the ANFC had run out of patience and the VFA was expelled from the national governing body, bringing an unfortunate end to their time on the interstate scene. NOTE - matches below shaded in dark grey were practice/exhibition matches and are not considered official representative contests. 1950 National Carnival - at its first national championships the VFA finished equal with Tasmania on 1 win from 4 matches but dropped to last place because of a lower percentage. This meant they had to win a playoff match in 1951 against the Section 2 champions (Australian Amateurs) to decide who would be promoted/relegated for the next championships in 1953/54. 1951 vs Tasmania - a second match against Tasmania or a combined NTFA or NWFU team in Northern Tasmania was proposed. However, this did not proceed due to the Association's crowded schedule with premiership fixtures and a match against the Australian Amateurs yet to be played. 1951 vs South Australia - played midweek on the Jubilee Day public holiday. 1951 vs Australian Amateurs - promotion playoff between the winner of Section 2 at the 1950 National Carnival (Australian Amateurs) and the last-placed team in Section 1 (VFA). Winning this match ensured the VFA would compete in Section 1 at the 1953 National Carnival. 1953 VFA North vs VFA South - a selection trial played on the Coronation Day holiday between teams located North and South of the Yarra. The game came about because of arguments between officials of north and south clubs about where the real strength of the Association lay. 1953 National Carnival - a 43 point victory over Tasmania and a hard-fought 18 point loss to Western Australia earned the VFA a 4th place finish. 1954 Legends Match - on Sept.5 a team of former VFA Champions played a team of former VFL Champions at Punt Road Oval. Despite poor weather the exhibition match drew 7,000 fans who saw the VFL's legends win by 3 points: 12.8 (80) to 12.5 (77). 1956 National Carnival - the VFA never recovered from their tough opening match against South Australia. Injuries from that game hampered the team through the carnival and meant they started the following match against the VFL with only sixteen fit players. The VFA subsequently suffered three huge defeats and limped home in last place with a 0-4 record. There was no Section 2 championships played in 1956/57 so the VFA retained their place in Section 1 for the 1958 Carnival, avoiding a promotion playoff against a Section 2 team. 1956 vs VAFA - not an official VFA representative match. A combined VFA and VFL side played the VAFA as a demonstration event at the Melbourne Olympic Games. The team comprised players from the VFL and VFA who were still of amateur status rather than professional, i.e. they were not receiving payment to play. This was a key requirement for the match to proceed because at that time all Olympic athletes were required to be of amateur status to compete in the Games. The game was held before the Men's Soccer gold medal match and, amongst other challenges on a modified MCG arena, players had to dodge a flag pole at centre wing. According to The Argus [7-12-1956] the two teams also played a practice match the previous weekend, but to date no scores or venue information have been found. 1957 (July 23) vs South Australia - played midweek under lights. South Australia played the VFL the previous weekend at the MCG and played Tasmania in Hobart the following weekend. 1957 (Aug.20) vs South Australia - played Tuesday night under lights. 1958 National Carnival - the VFA opened with an impressive victory over a strong Tasmanian side but faded after that, Although level with the injury-ravaged South Australian team on 1 win from 4 matches, the Association finished in last place due to an inferior percentage. In previous years the VFA would have faced a promotion playoff to keep their place in Section 1, but new rules meant the Association were automatically demoted to Section 2 for the 1960/61 National Championships. 1960 Section 2 National Carnival - the VFA were clearly too strong for their Section 2 opponents, claiming the title undefeated with winning margins of 104, 129 and 105 points. 1960 vs Australian Amateurs - a promotion playoff between the winner of Section 2 at the 1958 National Carnival (Australian Amateurs) and the last-placed team of Section 1 (VFA). Winning this match ensured the VFA would compete in Section 1 at the 1966 National Carnival. 1961 vs Tasmania - played on the Queen's Birthday holiday. 1962 vs Tasmania - played on the Queen's Birthday holiday. 1965 vs Western Australia - a loss on the scoreboard but one of the VFA's finest efforts, travelling across the country and coming within 10 points of defeating the reigning national champions. 1966 National Carnival - the VFA finished last with a 0-4 record, the sole highlight being a hard-fought loss to the eventual champions, the VFL. The record books show a seemingly easy win of 40 points for the League but they were under pressure throughout, only breaking away in the dying stages. 1968 vs Canberra - throughout 1967-68 the ANFC held three different votes to decide a standoff between the VFL and VFA over player permits. The VFL wanted the VFA to sign a new agreement but for this to be approved it required a three-quarter majority. This was denied each time by the Canberra and Tasmanian leagues voting in support of the VFA. This 1968 match was played to help promote Australian football in the Canberra region and to thank the CANFL for their support at the ANFC voting table. Williamstown's Eddie Szyska equalled the then VFA representative record by kicking 10 goals. 1969 - five months after the match in Canberra the ANFC held a fourth vote and CANFL officials finally bowed to pressure, voting in favour of the VFL. The VFA met with the VFL and agreed to sign a new permit agreement if the League agreed to a number of conditions including not poaching any more VFA clubs (as happened in 1897, 1908 and 1925) or take over VFA grounds (1965-66). The VFL declined to sign on the basis that these events were unlikely to occur again. In 1969 the VFA took legal action against the ANFC for acting unconstitutionally. The governing body responded with an ultimatum that the VFA comply with ANFC requirements and the issue would be finalised after the 1969 National Carnival. The VFA refused to accept these conditions and were left out of the 1969 championships. The dispute dragged on and in March 1970 the VFA's time at the top level ended when they were expelled from the ANFC.